Sound is the foundation of all matter. We are a part of an ever changing sea of sound energy. We are remembering how the ancients healers used sound to heal and manifest from this sea of vibrational possibilities. Many frequencies we can hear and others are out of range with the human ear. Most of the time we don’t think about the sound that’s in in our environment unless the frequency captures our attention. Sound can be loud! Sound can be soft. Sound can be soothing. Sometimes, sound is dissonant. What we are not aware of, are the effects sound has on our physical, emotional and spiritual health. It isn’t just our ears telling us what we like and don’t like; It’s our physical body and energetic body that is transmitting information back and forth. This communication triggers a positive & negative responses causing an imbalance that leads to dis-ease. Like an instrument, we are “out of tune” or “not in harmony” with our inner and outer environment. How often should you have a healing sound session? If my clients aren’t working on intensive issues, I tell them it’s necessary to get a “sounding tune up” with the change of seasons. Each season has its effect upon us, physically, mentally and spiritually as well as every day stress. For optimum health to live the life you desire, take care of yourself vibrationally as well as diet and exercise. I offer variety of sound healing modalities, see below, which ALL are specifically tailored for you. Through the years of seeking my own personal healing I have experienced many practitioners. There have only been a few that were exceptional, and Niobe is at the top of the list. Which Healing Sound session will serve your best? 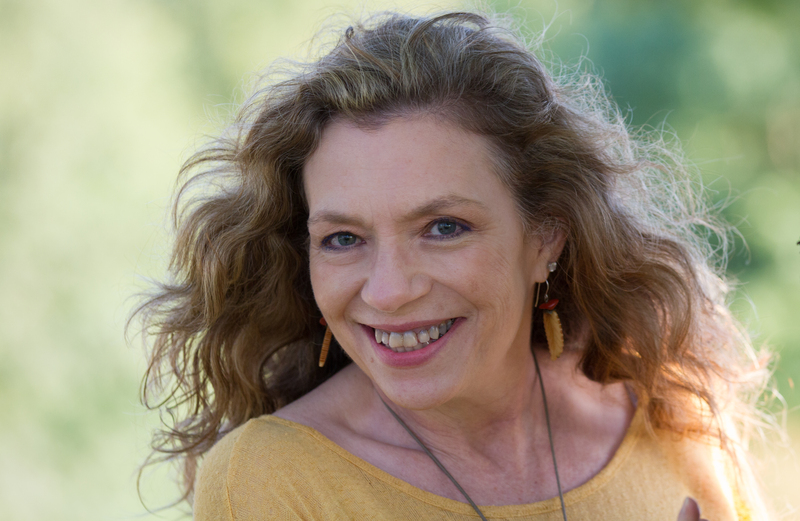 Intuitive Sound Consultations sessions offer a time to connect to your inner wisdom and with your guides, to address stress, blocks and fears that naturally are a part of life. The intent of every session is to discover how you can empower your life as you live in relationship with your higher self. Intuitive Sound Sessions can be via phone, Zoom or in person. 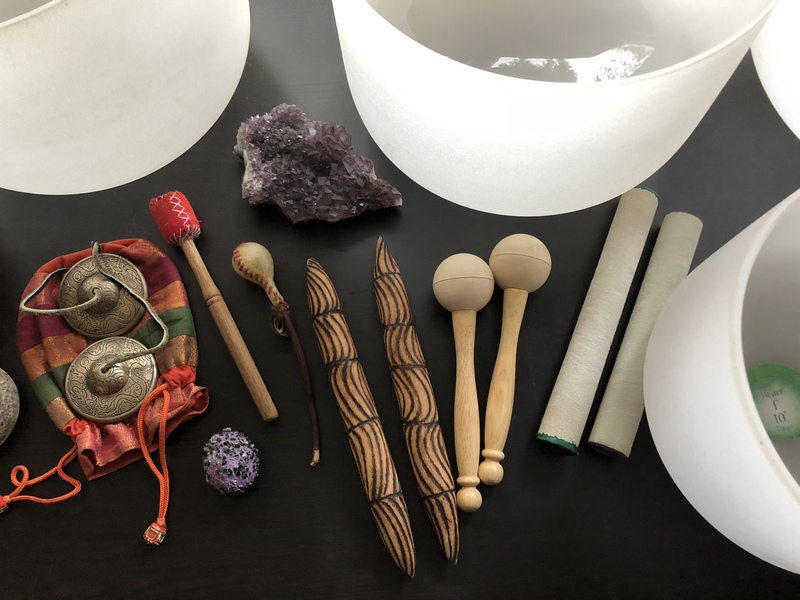 Total immersion in sound with my preferred tools: The Quartz Crystal Bowls and vocal toning. This session brings deep relaxation, clears, balances and energizes your mind, body and spirit. It’s a session you can receive individually, with your partner or a small group to release and relax. 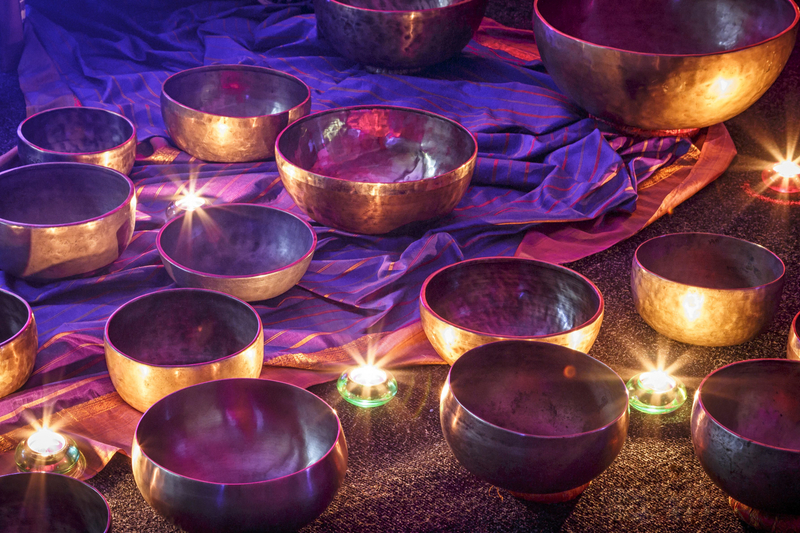 A Sound Bath is especially healing when feeling stressed, un-grounded and scattered. “Close your eyes to the angelic voice of Niobe as her quartz crystal bowls carries you deep. Her Language of Light takes you out of the realm of yesterday and into the beauty of the “present moment”. 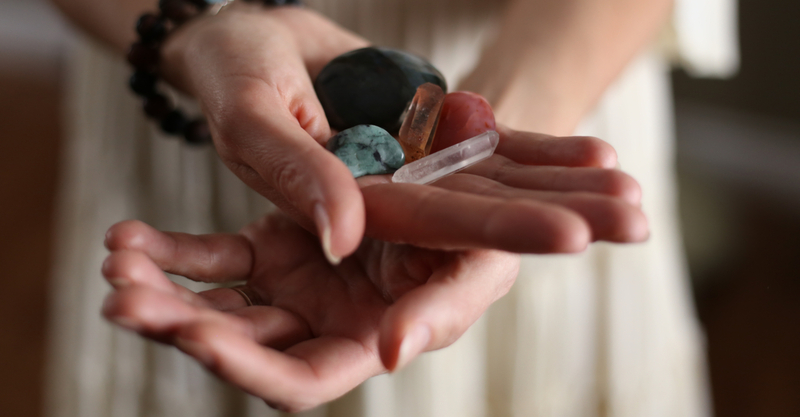 Sound Energy Transformation Technique (SETT) is a full spectrum healing session incorporating all my years of healing modalities: toning, light language, quartz crystal bowls and hands on energy work. 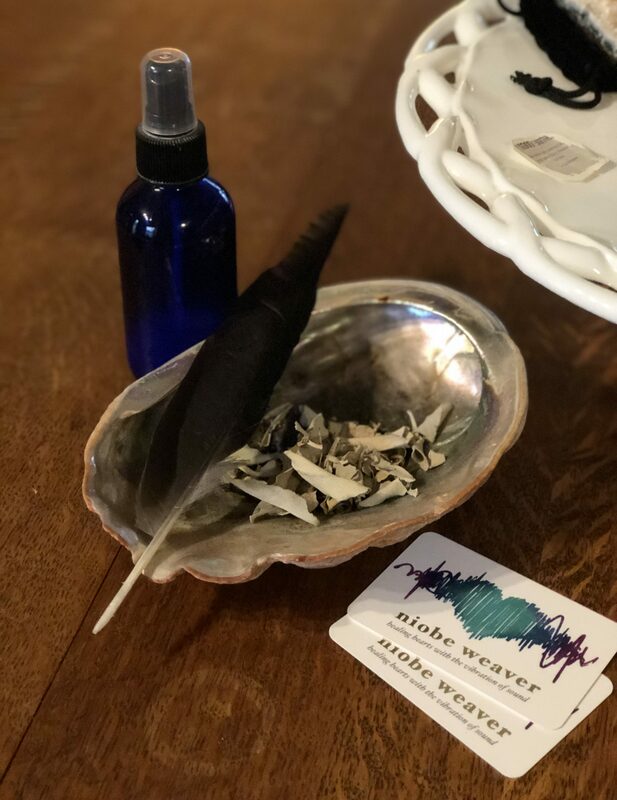 This session is very similar to shamanic healing, addressing emotional and spiritual challenges as well as physical and energetic imbalances . SETT is the technique that I developed from working with clients over the past 20 years. “Niobe, you’re an amazing conduit of Universal spirit & mother earth energies. 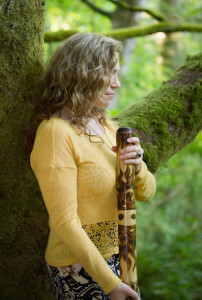 Work with me to deepen your experience in sound in one of my workshops; Melodies of the Heart, Your Purpose in your Soul Song”, “Your Voice as Healer, the Power in your Sound”, “Sound, Heal and Move, A Celebration of Life”, and My three month program; “Six Sessions to Self Awareness” Contact me to learn more and host a workshop or group experience. “Niobe Weaver is an incredibly talented woman! Want a unique sound experience created exclusively for you personally, your organization or service? Contact me, creating custom sound experiences are my speciality. 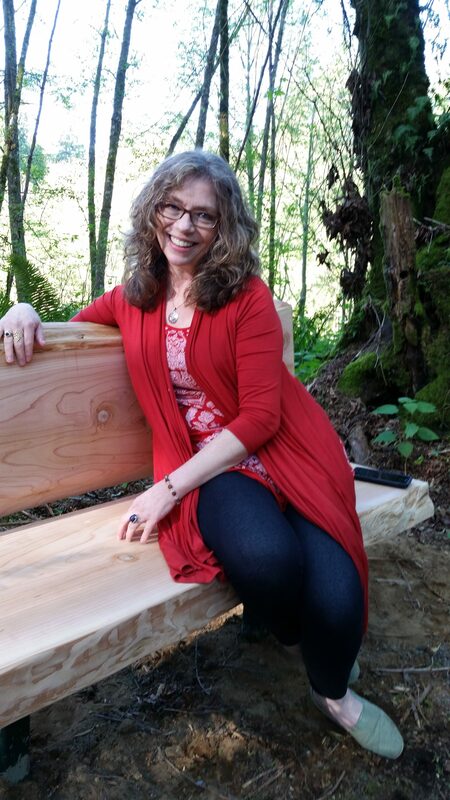 Curious, About My Sound Healing Tools? Below are my tools of my trade. I use them, like an artist uses paint and brush, though my creation isn’t a painting. healing of my clients, of myself and of my environment. My hands were my first healing tool as a massage therapist and as a Healing Touch Practitioner and Reiki Master. Then Sound began to come into my work and my voice became another tool. The tickle in my throat Chakra the last 15 minutes of every session opened my voice to toning and singing the energy I hear from my clients. As my understanding of sound grew, Tibetan brass bowls and Quartz Crystal Singing Bowls joined in to teach me their healing wisdom. Rattles and Didjiridoo brought balance with Earth vibrations. My work has been greatly influenced by the these professionals. Their research and experience is changing the model of healing. Mitchell L Gaynor, M.D. 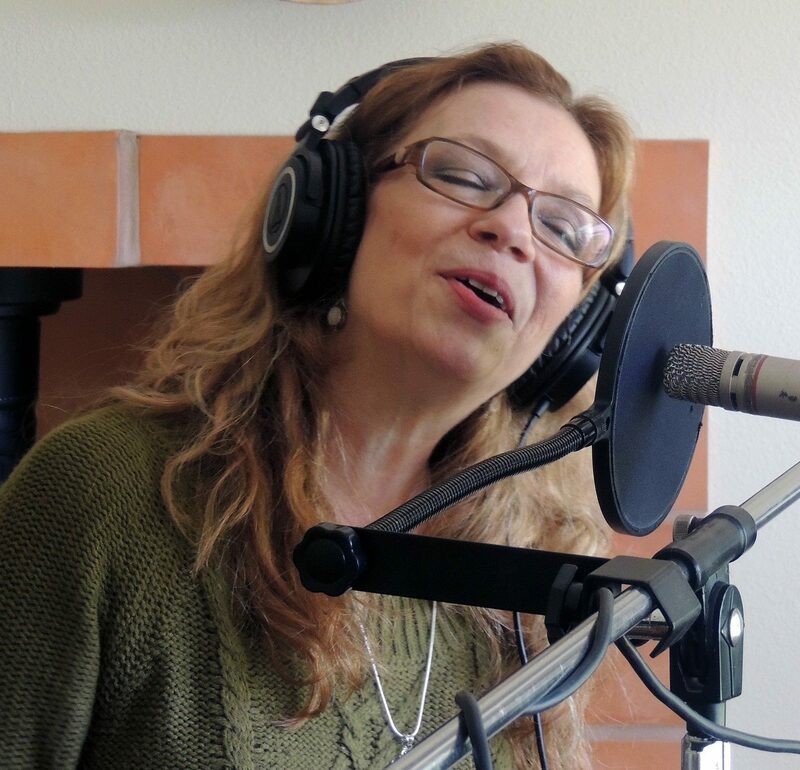 : Professor at Weil-Cornell Medical College, Founder of Gaynor Integrative Oncology, Author; Sounds of Healing, The Healing Power of Sound. Uses quartz crystal singing bowls, chanting and sound with his oncology patients. Fabien Mamman: musician, composer, acupuncturist, author, researcher, healer, teacher, “bioenergetician”, martial artist. Revolutionary researcher in the power of acoustic sound and its effect on cancer cells. 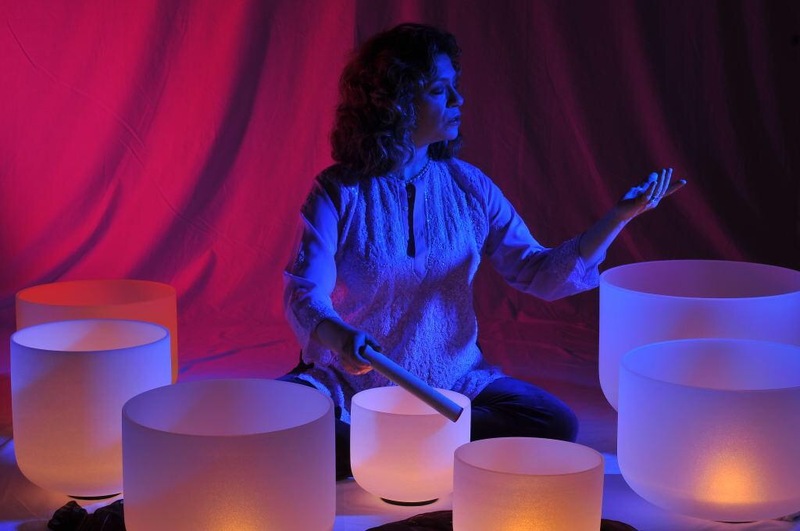 Jonathan Goldman: Author, musician, reasearcher and teacher in the field of Harmonics and Sound Healing. Receive a FREE Melody Reading!